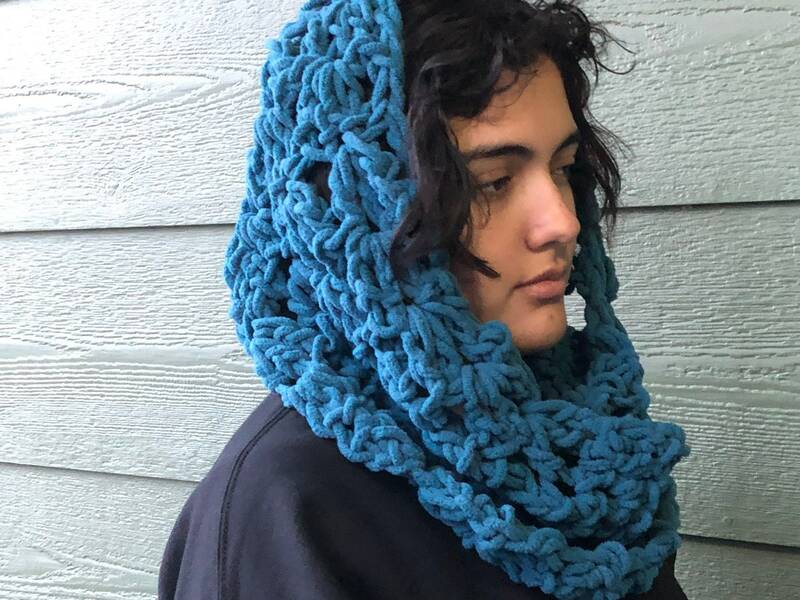 This dark blue cowl was handmade by me. 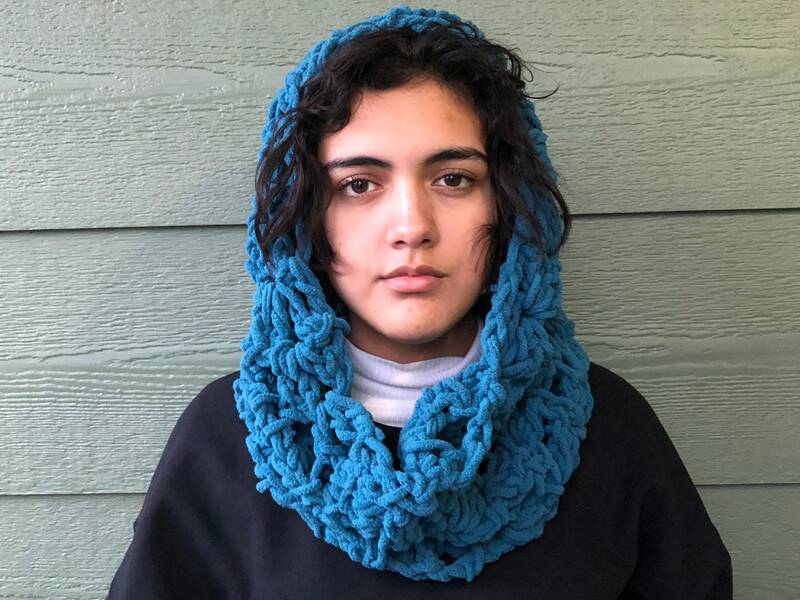 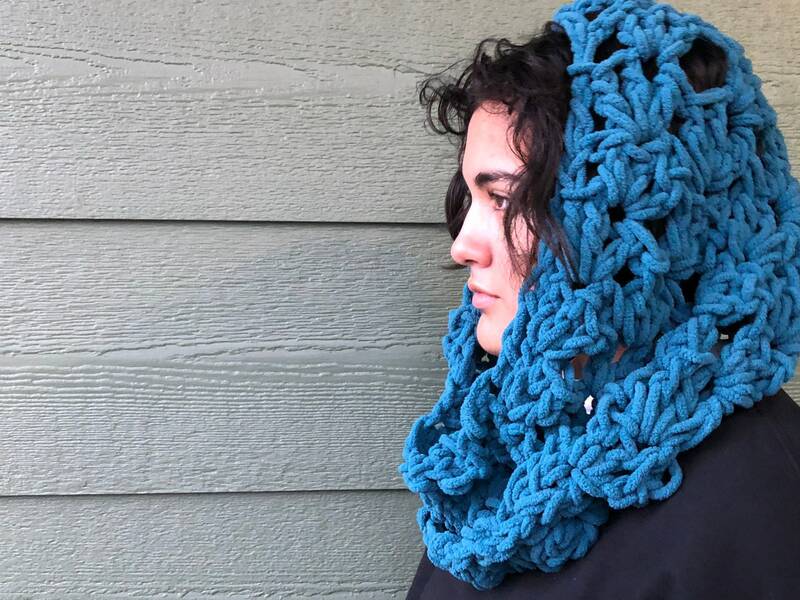 This scarf / cowl may also be used as a head cover. 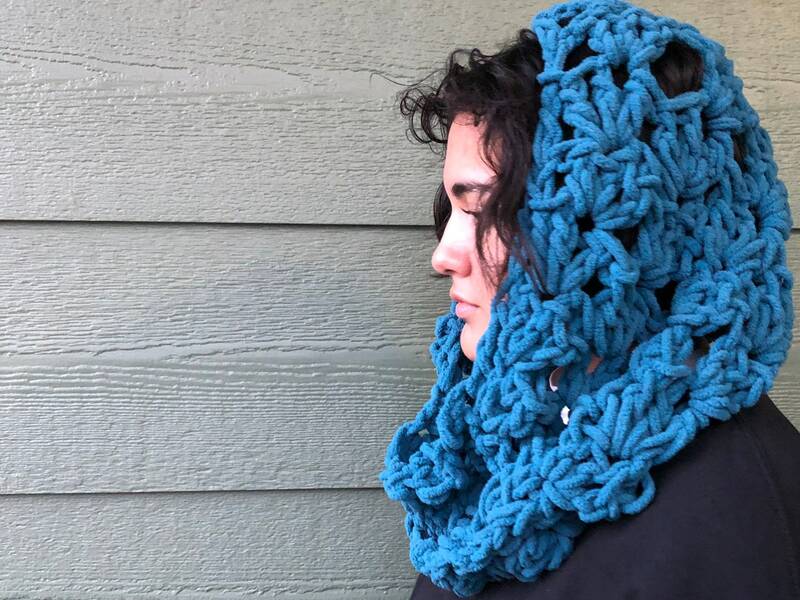 This item is finished with the following dimensions: 27in from shoulder to shoulder. 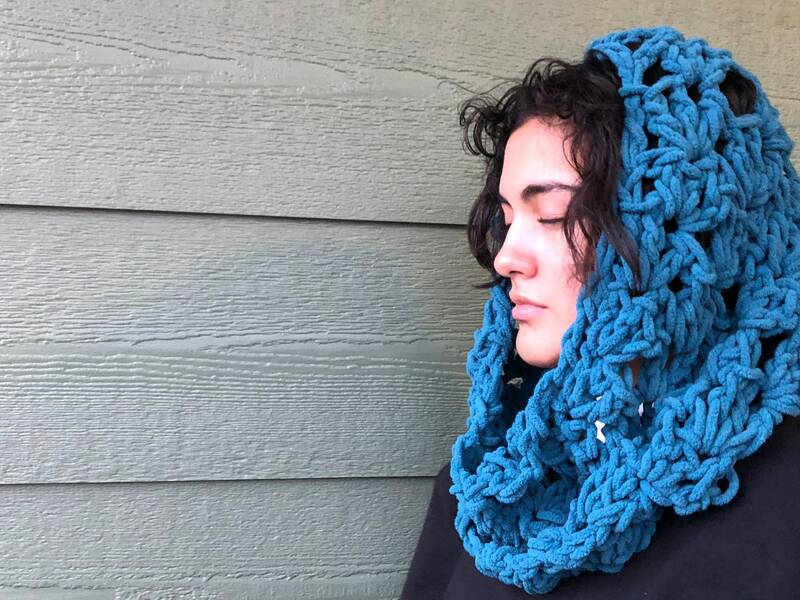 It goes through over the head very comfortably so one size fits all.